Welcome to Day 2 of our 12 Days of Children’s Books Gala Giveaway. I’m part of an amazing group of writer friends who specialize in writing engaging nonfiction for kids. We’re the Nonfiction Ninjas! Hip hip hooray for today’s featured book in our 12 Days of Children’s Books Gala Giveaway! One of you will be our winner for today and will be receiving a free copy of this exciting book in your mailbox. Stephanie, thanks so much for visiting my blog today and offering readers the exciting chance to win a copy of your children’s book. Stephanie, can you tell us who was the craziest inventor of all? There are lots of wild stories about inventors and scientists, but I think my two favorites are Nikola Tesla and Tycho Brahe. Tesla’s ideas were so far ahead of his time that people thought he was crazy. He had a vision and plan for cell phones in the 1890s. He also claimed to have a plan for a death ray gun. But we will never know how close he came to that, because the U.S. government seized all his papers immediately upon his death. Brahe was probably truly a bit crazy. He got in a duel over a math problem and he kept a moose as a house pet. But he was also a genius astronomer. Often truth is stranger than fiction. Why do you write nonfiction for kids? I want kids to fall in love with history and science. School text books often give only facts and dates. They don’t tell the stories of these amazing people and their discoveries. When readers learn the true facts and stories, it makes science and history come to life, and they want to learn more! I read EVERYTHING! I love biographies, history books, memoirs, and science books. I listen to podcasts, read blogs, magazines, newspapers and watch documentaries. When a topic fascinates me I start doing research. The world is full of so many amazing stories, it’s hard to pick which one to write about. Thanks, Stephanie! It was great to hear more of the “story behind the story”! 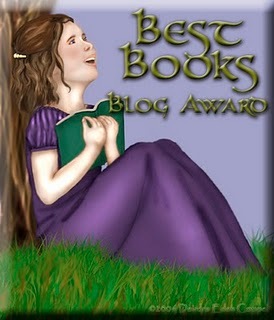 Be sure to stop back here on my blog tomorrow for Day 3 of our Gala Giveaway. You can enter your name for a chance to win our next featured children’s book. We’re giving away 11 amazing children’s books during our Gala Giveaway. And on Day 12, we’ll announce the winners, here on my blog. I hope you’ll be one of them! Do you want to write nonfiction picture books with the skills of a ninja? One of the first things to tackle is the first page. Not the first page of your manuscript. The first page that will be in the final published book. On my group’s blog, Ninja Notebook, I posted an article on strategies to make your first page a winner. CLICK HERE to read it and start to sharpen your skills! I want to introduce you to my scribe tribe! It’s official…we’re the Nonfiction Ninjas! We’re a group of 11 professional children’s writers who first gathered in Texas this last year and have since been helping each other move forward in our writing careers. And even though we write in a variety of genre, together we all specialize in nonfiction! To make us even more official, we even have our own website. You can click here to meet each of us and learn more about who we are. But one of the best things I want to share with you today is that we have started our own blog, chock full of tips and strategies on how YOU can polish your nonfiction skills and learn to slice and dice like a blackbelt! Our blog is called the Ninja Notebook and I’ll be sharing lots of their posts here on my blog. For starters, I encourage you to read the incredible Pat Miller’s post on Writing Lessons from a Worm. You’ll be inspired to maximize your fullest potential as a writer! As many of you know, I’m eagerly awaiting the publication of my newest book, JANE AUSTEN FOR KIDS. Its release date is February 2019. As with many of my other books, I’m creating a free educator’s guide to go along with it. If you write for children, it’s a good idea to create an educator’s guide to go along with your book too. Some publishers provide this, but many don’t, so for the ones who don’t, I make it myself. I’m starting to work on my educator’s guide for JANE AUSTEN FOR KIDS, so I wanted to share the steps I’m taking, here on my blog, so you can learn how to create one for your book as well. An educator’s guide serves many important purposes. For one thing, it gets your book into the hands of teachers and teachers are a key buying force–a vital target audience for you to market to. For another thing, somewhere in your educator’s guide you can market your book (and other books you’ve written) so that it increases your marketing exposure. And most of all, it helps bring your book to life for kids. The activities in an educator’s guide can be fun and exciting and help add interest and connect with the hearts of kids so they become even more enthusiastic about your book. The first component of my educator’s guide that I’m going to create will be a reader’s theater story about Jane Austen. Here in the upcoming days on my blog, I’ll be taking you through the process I’m going through, step-by-step, to write it. Readers theater stories are AWESOME! They are fun for kids to perform. They bring your topic to life. They are always a favorite in an educator’s guide. Plus, you can write these puppies even if you do not yet have a published book and sell them yourself on the site, TEACHERS PAY TEACHERS. I highly recommend you join TEACHERS PAY TEACHERS. (You don’t have to be a teacher to join.) It’s an amazing place you can self-publish various products and stories and SELL them for teachers to use in the classroom. It’s also a great place you can post your free teacher’s guide for your published book to get it in the hand of teachers everywhere. While you’re at it, go to my store TEACHER PLUS WRITER and click “Follow me!” I’d love for you to follow my store and learn about new products I’m creating for kids as I post them several times a year. CLICK HERE to go to my online store and follow me. And if you have a store on Teachers Pay Teachers, I’d love to follow you, too! Just post a comment here with the name of your store and I’ll follow you, too. Stay tuned…as we get started on learning how to write a reader’s theater. My upcoming book will resonate with home educators, church librarians, Christian schools and others who enjoy MG historical/Biblical fiction. So I’ll look for those groups on Twitter and Facebook. I’ve already joined a few groups on Goodreads. How do you keep track of them all? And do you mostly watch their comments or actually interact with them? Again, these are great questions. And again, there are no right or wrong answers. I have writer friends who spend a lot of time on social media interacting with their friends and followers. They love it and they really maximize their author platform online. After several years of participating in online social media, however, I have learned that it is not the best fit for my interests, personality, or time. I’d rather write a teacher’s guide and post it in my store, Teachers Pay Teachers, where teachers can get it for free and learn about my book and hopefully purchase copies of it for their classroom. So for my strategy for building up my social media on platforms such as Facebook and Twitter as I’m getting closer to the release of my book JANE AUSTEN FOR KIDS, I’m not planning on interacting with people every day. I’m planning on holding one to four marketing campaigns throughout the year to market various books of mine. So there will be times when I’m very active with my followers and friends for my target BUYING audience (this includes mostly teachers and librarians). But the other months of the year, I’ll probably not interact much with those platforms at all. That’s just my personal preference. My writing comes first. I am constantly writing fresh new content for new picture books or new teaching resources or new nonfiction children’s books. Then after that, as I have time, or as I purpose to do, I’m spending time on my author’s platform in the realm of social media, helping to promote and market my books. That’s my cat Pitterpat sitting at my computer. I think she’s trying to friend all the cat lovers in my Facebook groups. Social media. It’s got its benefits. And it’s got its issues. Social media can drain our time and creative energy without generating much income in return. Yet it can also hopefully help generate sales for your books. A couple of years ago I read a survey that interviewed published authors. A few years ago, these published authors earned a certain amount of income and spent a certain amount of time writing and a certain amount of time marketing on social media. More currently, these same authors spent significantly more time on social media and less time actually writing, and their income also dropped significantly. I wish I could remember where I saw that survey so you can see the results for yourself. But this was an eye-opener to show me that I need to spend quality time on my writing first and foremost. I need to keep landing contracts to earn income. But I also want to spend time marketing on social media because that’s what authors in today’s world need to do. Our role is to help get the word out about our books. So people can buy them and get them into the hands and hearts of children. That’s why I’m working on building social media as part of my author’s platform for the upcoming release of my newest book, Jane Austen for Kids. The key is time management. Here are some ideas to help you manage your time on social media marketing so it doesn’t drain your creative energy or time from your actual manuscript and writing. We could spend 10 minutes every day working on social media to build our author platform. We could spend one hour each week on social media. We could pick one day a week to focus on social media. We could focus on a task instead of the time. We could just pick one task, one bite-sized chunk, to accomplish. Then do it. When that task is done, we pick a new task to accomplish. What are your strategies for managing social media so it doesn’t drain your time or your creative energy? Want to get your ducks all lined up in a row on your favorite place to tweet? “Just a note for those struggling with Twitter. It’s helpful to install the app on your phone as well as your computer. I have gotten up to 1700 followers without much effort by just swiping through it once every day or two and ‘following’ several new people each time, usually people Twitter suggests. Most will follow you back. I follow mainly other children’s writers, teachers, and librarians, as these are the primary people I want to see my book posts. As I scroll down, I also retweet, comment on, or ‘like’ a few things that look interesting. And on very rare occasions, I actually tweet something. It really doesn’t take long – like 5 minutes – and you can do it on your phone while watching TV, riding in the car, or whatever. Thanks bunches, Lisa! We appreciate you sharing real info about how you’re really building your author platform. Lisa Amstutz is a children’s book author and freelance editor. Follow her on Twitter at @LJAmstutz or visit her fun website at www.LisaAmstutz.com. This is the pump in the Pump Room in Bath where Jane Austen and her family (and the characters in her novels) came to drink the healing waters. The pump is probably not original, but it’s still very old and very beautiful. As I’m moving forward on my journey to build my author platform for the release of my upcoming book, JANE AUSTEN FOR KIDS, first I thought long and hard about LONG-TERM goals I want to achieve. As you’re taking notes in your composition notebook or other note-keeping format, take time to brainstorm your longterm goals for building your Author’s Platform. Your goals may look very different than mine. You may want to do 1 author signing every month or do 4 school visits every year, etc. After you jot down ideas for your longterm goals, organize them into a more formal list that you can refer to over time. Set up a MailChimp account. Read a tutorial on how to create an email list on MailChimp. Add 100 emails to my email list on MailChimp. Contact 10 writer friends and ask them to be part of my borrowed platform. After you write down some concrete short-term goals, pick one. Pick one bite-sized chunk and work on it over the next week or two or three. Then cross it off your list. In the meantime, I’ll be posting about time management so you can work on this without drowning in the ocean of social media. These are great questions, Jarm! And these are issues I struggle with as well. There are no right or wrong answers, but this is how I try to handle these things for my own career. Maybe you’ll find some helpful ideas for managing your own sites. I use my website as my calling card. Meaning I set it up and I refer folks to it. But I don’t count on it to generate sales of my newest books. I use my website to let people know about me as an author in a general way. I decided long ago that I would use my blog to target one group of people: other writers. So that’s pretty much what I talk about on my blog. I post tips and tricks of the trade and actual “look at my author’s journey” here on my blog. I enjoy building this writing community here. But I don’t expect my blog to generate sales of my newest books. Here’s how I plan on using social media to generate sales of my newest books. Next, I’m trying to find out where these people hang out on social media. One of the biggest groups of people who will buy my upcoming book, JANE AUSTEN FOR KIDS, is teachers. So I’m learning where teachers hang out. Teachers hang out at a site called TEACHERS PAY TEACHERS, so I’m working on building a store there where they can download free teachers’ guides to my books. Plus they can buy several resources I self-publish for teachers to use with their students. I’m trying to build my followers here so they can see when I have a new product come out. There are also teacher groups on Facebook and on Twitter so I’m currently working to join groups on these sites. And after I join them, I am friending teachers in these groups. That’s so I can reach out to them when I’m ready to share posts about my book’s release in Febuary. And finally, I have various friends who are teachers. So I’m creating a free e-mail list on MailChimp of teachers I know through cyberspace or as personal friends. I’m planning on sending out a newsletter next February to let all my teacher friends know about the release of JANE AUSTEN FOR KIDS. All of this will take time so I’m working very slowly. I’m trying to manage my time so that I work on my current manuscript projects first in the day and save this social media for my slower times of the day. And I’m giving myself 6 months (and longer) to accomplish each baby step I’m taking. So to answer Jarm’s question, it’s good to share your author’s journey on your website. Or blog. But to help generate sales for your books by building your author’s platform, it’s important to identify your target buying audience, then find where they hang out on social media, then take steps to connect with them so you can share with them about your book. This was me, on a misty morning in England, standing at the graves of Jane Austen’s sister and mother. What an amazing journey that was gathering research for my book, JANE AUSTEN FOR KIDS, as well as taking photographs that will be featured in it. 1. I’m building an e-mail list. 2. I’m designing a newsletter to start sending out about twice a year to my e-mail list. 3. I’m building followers on various social media sites of my target BUYING audience. 4. I’m building a Borrowed Platform. One of the main goals I’m focusing on as I’m developing my author’s platform is the level of maintenance this platform will require. Since I want to focus most of my creative energy and time on my actual manuscripts and writing new content, I have determined that I want a LOW level of maintenance for my platform. I want to set it up and then post to it 2-4 times a year. How about you? What do you want to add to your author’s platform to help sell your books? What strategy do you want to use to get the word out about your books? Some authors like to do school visits. Some teach at conferences. Some do bookstore signings. Yes, I do all that. But right now I want to focus on building the 4 areas I listed above. In the composition notebook you got or in your notes you’re organizing, take time to think about what level of maintenance you want to focus on for your author’s platform at this season of your life. Your list may look very different than mine and your level of maintenance may be very different than mine. That’s okay. The important thing is to identify your strategy to build your author platform and your basic goal to maintain it. We’ll talk about long term goals and short term goals next.